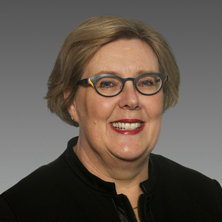 Dr Fiona Kilpatrick was born in Western Australia and attended schools in Western Australia, Great Britain and the USA. Dr Kilpatrick studied Medicine at the University of Western Australia. Dr Kilpatrick’s current professional interests include anaesthesia for Ophthalmology, Paediatric and Adult Dentistry, Plastic and Reconstructive Surgery and IVF. After an internship at Royal Perth Hospital, Dr Kilpatrick completed her Anaesthesia Training in the Teaching Hospitals of Western Australia. In 1992 Dr Kilpatrick commenced Specialist Private Practice in Anaesthesia, initially as a Locum Consultant at Fremantle and Sir Charles Gairdner Hospitals. She commenced full time Private Practice in 1994.